All Web addresses mentioned were functional as of 6-10-16. From the Cumberland Gap to the Atlantic Ocean, this is Virginia Water Radio for the week of June 13, 2016. Here’s a riddle: What’s 80 years old, has 38 parts, is public and very popular, and offers sounds like these along with countless other natural and historical sounds and sights? The answer: the Virginia State Park system! The sounds you heard, recorded in August 2013 along New River Trail State Park, are just a sample of what visitors can find in Virginia’s 38 state park units. On June 15, 2016, Virginia’s state park system celebrates its 80th birthday. In honor of that occasion, this week we feature excerpts from three musical selections by Timothy Seaman of Williamsburg, all part of his “Common Wealth” album, compiled in 2001 to honor Virginia state parks’ 65th birthday that year. Have a listen for about 60 seconds. You heard parts of “James and York River Bluffs,” for York River State Park in James City County; “Big Meadows Twilight,” for Sky Meadows State Park in Fauquier County; and “Hiking in the Highland Firs,” for Grayson Highlands State Park in Grayson County. As those examples show, Virginia’s state parks cover the Commonwealth’s geography, from Tidewater to the Blue Ridge to the far southwest. Many parks are specifically tied to water, such as False Cape in Virginia Beach; Mason Neck in Fairfax County; and Staunton River in Halifax County. This diverse system of resources, histories, and activities all began on June 15, 1936, when a ceremony at Hungry Mother State Park in Smyth County marked the opening of Virginia’s first six parks. Administered by the Department of Conservation and Recreation, the system as of June 2016 includes 37 units, ranging in size from one block at the Southwest Virginia Historical Museum in Wise County, to over 8100 acres in Pocahontas State Park in Chesterfield County. Later this year, the Natural Bridge site in Rockbridge County is scheduled to become the 38th unit. Almost 9 million people visited Virginia state parks in 2015, exploring and enjoying these treasures of our common wealth. The audio incorrectly referred to “James and York Bluffs” and “James and York River Bluffs.” Virginia Water Radio regrets and apologizes for that error. “James and York Bluffs,” “Hiking in the Highland Firs,” and “Big Meadows Twilight,” all on the 2001 CD “Common Wealth,” are copyright by Timothy Seaman and Pine Wind Music, used with permission. Mr. Seaman compiled music from five previous albums to produce “Common Wealth” in honor of Virginia’s State Parks on the park system’s 65th anniversary. Mr. Seaman’s Web site is http://www.timothyseaman.com/. “James and York Bluffs” was featured previously Virginia Water Radio Episode 173, 8-5-13 and Episode 220, 6-30-14. 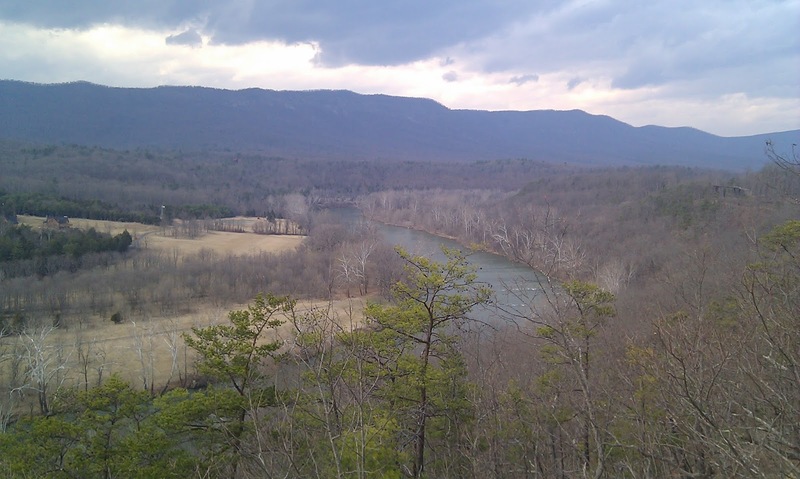 The sounds from New River Trail State Park were recorded by Virginia Water Radio on August 31, 2013. Photos: Top—Claytor Lake State Park, Pulaski County, Va., September 23, 2012; middle—Sloan Creek as viewed from New River Trail State Park, August 31, 2013; bottom—South Fork Shenandoah River, as viewed from Shenandoah River/Guest State Park, March 12, 2014. Location of 37 Virginia state parks, listed by the Virginia Department of Conservation and Recreation (DCR), “Find Your Park,” online at http://www.dcr.virginia.gov/state-parks/find-a-park, 6/9/16. At that site, the DCR’s list, but not the map, includes Tabb Monument, a one-acre property in Amelia County; for more information on that monument, see http://www.dcr.virginia.gov/state-parks/tabb-monument. The parks, with the map abbreviations shown in parentheses, are as follows: Bear Creek Lake (BC), Belle Isle (BI), Breaks Interstate (BK), Caledon (CA), Chippokes Plantation (CP), Claytor Lake (CL), Douthat (DO), Fairy Stone (FS), False Cape (FC), First Landing (FL), Grayson Highlands (GH), High Bridge Trail (HB), Holliday Lake (HL), Hungry Mother (HM), James River (JR), Kiptopeke (KP), Lake Anna (LA), Leesylvania (LE), Mason Neck (MN), Natural Bridge (NB – scheduled to become a state park in late 2016); Natural Tunnel (NT), New River Trail (NR), Occoneechee (OC), Pocahontas (PO), Powhatan (PW), Sailor's Creek Battlefield Historic (SC), Shenandoah River Raymond R. "Andy" Guest Jr. (SH), Shot Tower (ST), Sky Meadows (SK), Smith Mountain Lake (SM), Southwest Virginia Museum Historical (HM), Staunton River (SR), Staunton River Battlefield (SB), Twin Lakes (TL), Westmoreland (WE), Wilderness Road (WR), and York River (YR). Lisa Romano, “Virginia’s State Parks,” Virginia Foundation for the Humanities’ Encyclopedia Virginia, online at http://www.encyclopediavirginia.org/Virginia_s_State_Parks. HikingUpdward.com, “Sky Meadows State Park, Paris, Virginia,” online at http://www.hikingupward.com/OVH/SkyMeadows/. Timothy Seaman, “Common Wealth” CD Web page, http://timothyseaman.com/en/common-wealth-album-main-page. Virginia Association for Parks, “Virginia Outdoors/Pocahontas State Park,” online at http://www.virginiaoutdoors.com/parks/details/pocahontas-state-park. Virginia Department of Conservation and Recreation/Virginia State Parks Web sites: main site: http://www.dcr.virginia.gov/state-parks/; “Fun Facts” at http://www.dcr.virginia.gov/state-parks/fun-facts (for information on water features, see http://www.dcr.virginia.gov/state-parks/fun-facts#waterwater); and “History of Virginia State Parks,” at http://www.dcr.virginia.gov/state-parks/history. Virginia Department of Conservation and Recreation, “Virginia State Parks celebrates 80th anniversary with new contests offering prizes, $500 drawing,” 4/8/16 news release, online at http://www.dcr.virginia.gov/pr-relz-detail?id=2016-04-08-16-17-48-724260-d23. Dam Safety and Floodplains, online at http://www.dcr.virginia.gov/dam-safety-and-floodplains/. Environmental Education, online at http://www.dcr.virginia.gov/environmental-education/. 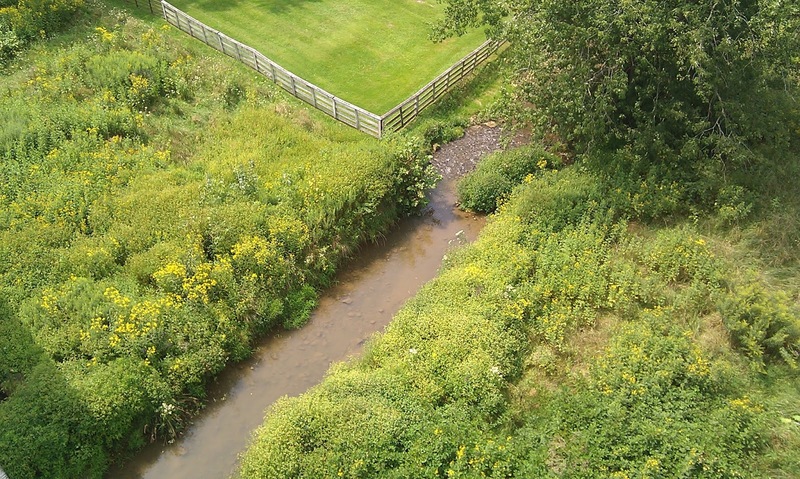 Land Conservation, online at http://www.dcr.virginia.gov/land-conservation/. Natural Heritage (including biodiversity, natural preserves, caves and karst), online at http://www.dcr.virginia.gov/natural-heritage/karsthome. Recreational Planning, online at http://www.dcr.virginia.gov/recreational-planning/. Soil and Water Conservation, online at http://www.dcr.virginia.gov/soil-and-water/. All Water Radio episodes are listed by category at the Index link above (http://www.virginiawaterradio.org/p/index.html); see particularly the “Recreation” subject category. “Virginia State Parks and National Kids to Parks Day”—Episode 161, 5-13-13. “Twenty-two Miles Along the New River Trail”—Episode 179, 9-16-13. “Exploring Climate Change Basics, with Examples from Assateague Island National Seashore and Shenandoah National Park”—Episode 231, 9/15/14. “Taking ‘The Great Road...’” (on the Colonial Parkway in Colonial National Historic Park)—Episode 273, 7-6-15.